Get notified when I update this Influencer Outreach Template (v1.0) and create new tools. Both brands and influencers know they need to collaborate with other big influencers on Instagram to grow followers and customers. But if the top influencers you want to work with aren’t part of an influencer marketplace, like Tomoson, getting their attention isn’t easy. So I created the 3-1-1 Influencer Outreach Template + Checklist to make it easy for you. If you don’t know who the top Instagram influencers are in your niche, it’s time to start an Instagram Marketing Swipe file. 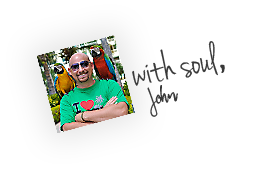 Enter the influencer’s name, your first name and your niche into the Template Merge Fields. 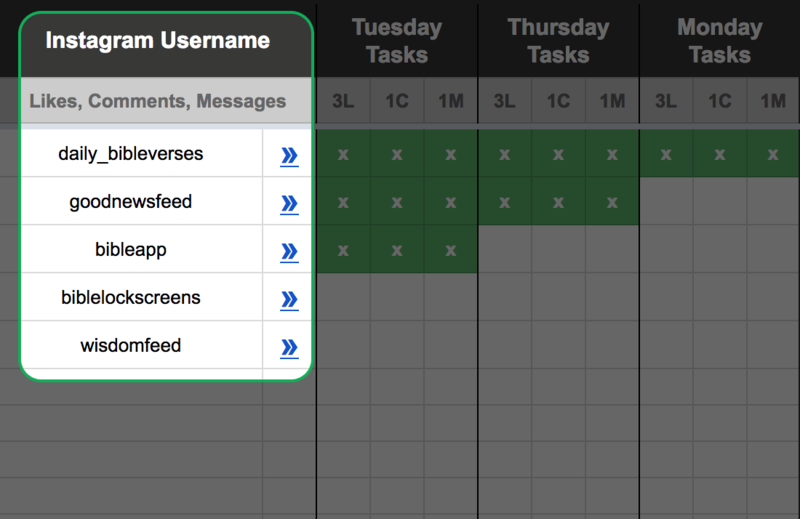 Copy the text in “Tuesday Message One Template” from your mobile device. You’ll be pasting this later in Step 4. 1C– Leave one genuine comment on one of their Instagram posts. 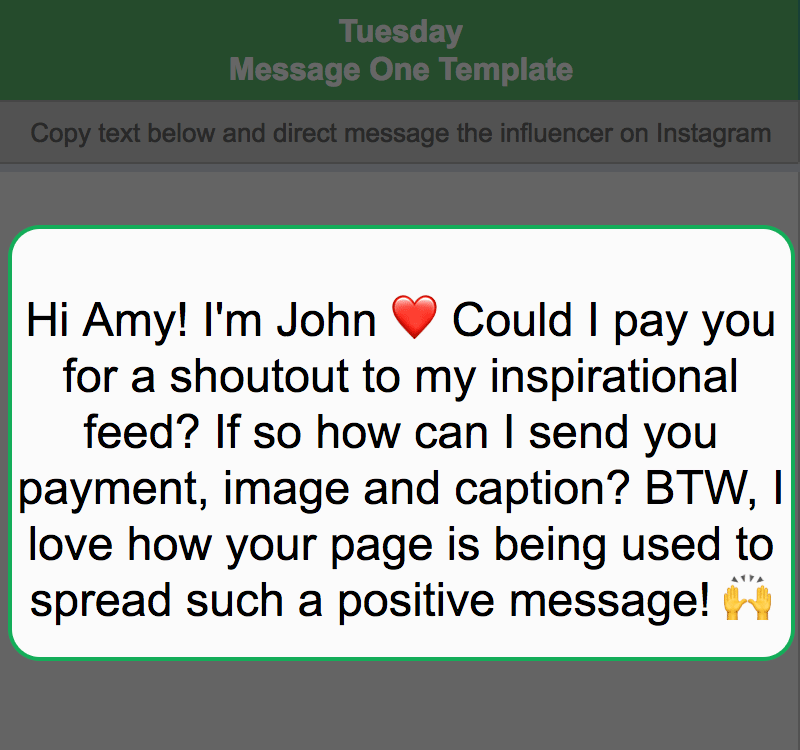 1M– Message the Influencer by pasting the template text to direct message them inside Instagram. 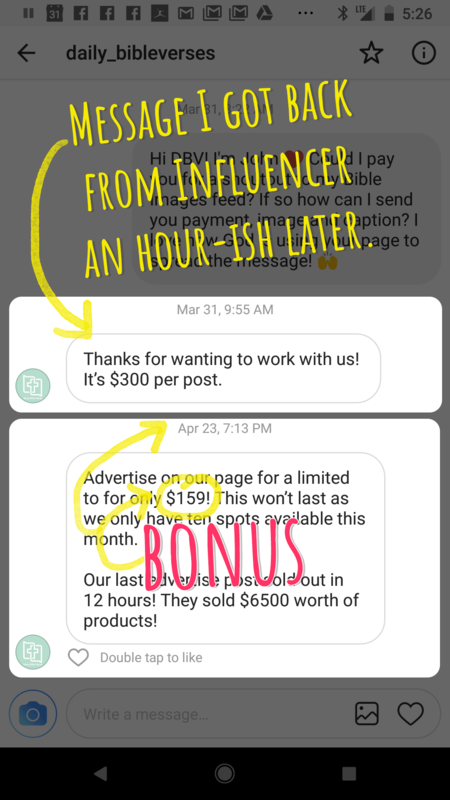 Don’t just message the influencer once and give up. If you really want to work with them, show them how much you want it by following up. 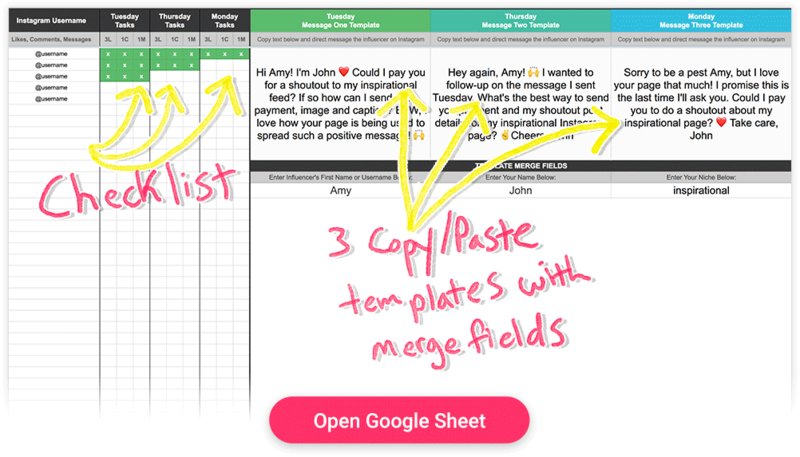 All you have to do is repeat Step 3 and Step4 (mentioned above) on the following Thursday and Monday using Message Template Two and Message Template Three. Write a question here? You can leave a comment by clicking here.